Kosmus publishers, Stuttgart, 1926. Chromolithograph. National Library of Medicine. 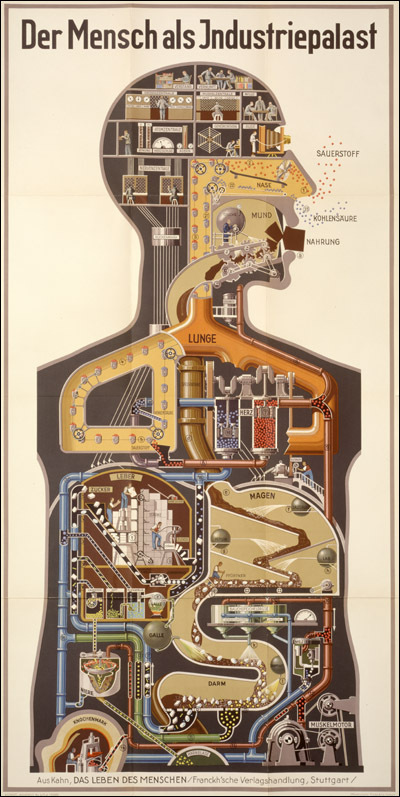 Kahn’s modernist visualization of the digestive and respiratory system as "industrial palace," really a chemical plant, was conceived in a period when the German chemical industry was the world’s most advanced.